This dessert might look complicated, but trust me, it took me all of 20 minutes tops to assemble it. It's an egg-free, no-bake blueberry cheesecake. I still had a couple of jars of Meyer lemon marmalade from last season and I julienned the lemon rind to flavor the cheesecake and decorate it as well. The citrus provides a great balance of flavor. 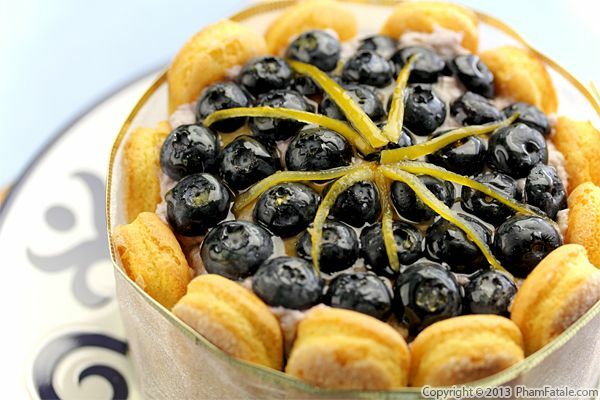 This sort of cheesecake only requires a handful of ingredients, which includes quality lady finger cookies, mascarpone cheese, heavy cream, powdered sugar, a hint of tangy crème fraîche, fresh blueberries, Meyer lemon marmalade (or whatever you have on hand) and a combination of lecithin, xanthan gum and a bit of oil. That's pretty much it. When we first got married I had a lot free time, but ever since Aria came into our lives, I'm not able to be as attentive to Lulu and have decreased the number of romantic gestures I make. So this weekend I brought him breakfast in bed. 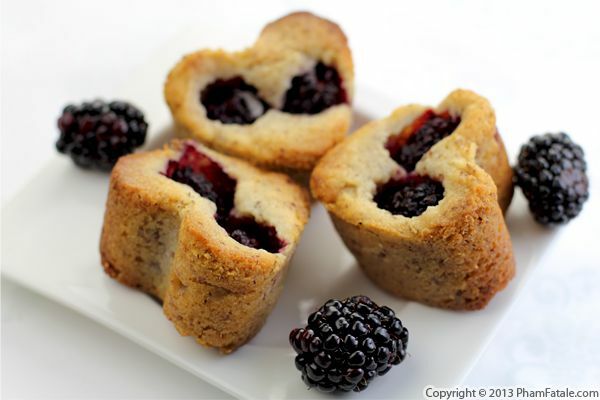 I made little blackberry muffins and baked them in heart-shaped molds. Lulu greatly appreciated them but he made one remark I found amusing. He thought the blackberries made it look like the hearts were "bleeding". He teased me and said "Is there a hidden message here?" 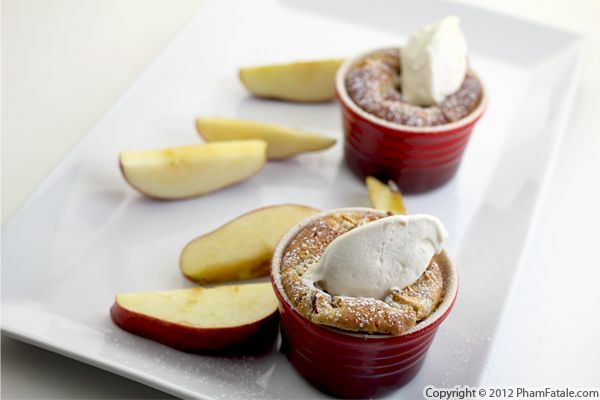 Whether served with a scoop of vanilla ice cream, crème anglaise or simply a dollop of Greek-Style vanilla yogurt, this apple hazelnut cake will satisfy your sweet tooth. 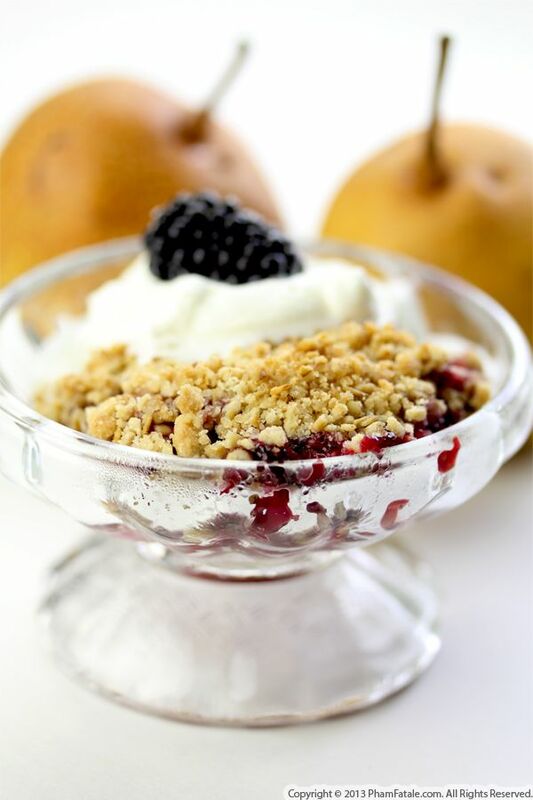 What I love most is the contrast in texture of the crisp, buttery top and the moist interior. I flavored the cake with Red Delicious apples. I chose this particular variety because of their firmness and beautiful bright red color. I usually use them in salads or eat them as is but they also work well in these baked goods. The girls have been working out hard this week and asked if they could break their healthy routine with some sweets. I'm so happy they decided to join me in my workout routine and thought they deserved a little reward. They're teenagers after all. As you can probably tell by our meals, we don't really diet, though I try to find healthier alternatives as long as they don’t sacrifice flavor. After enjoying these treats, the girls and I hit the gym and enjoyed 30 minutes of pure Stairmaster fun! 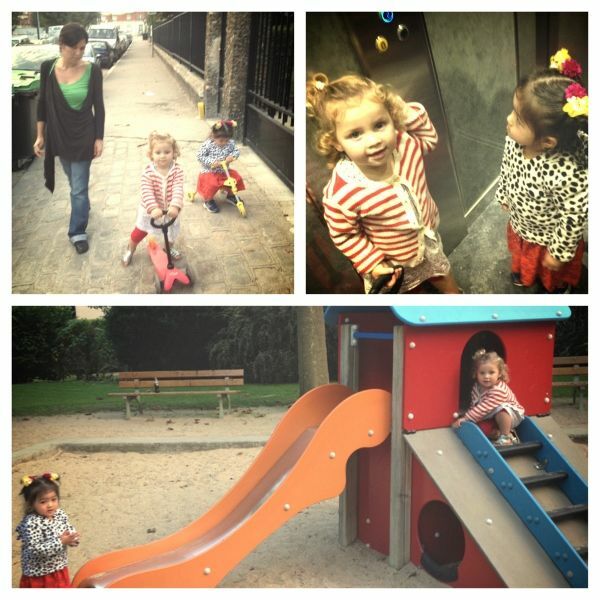 Our friend Carol came to visit the other day to see how much our daughter Aria has changed. I always make sure that I serve her special dishes because of her celiac diet. Since sweets are Carol's guilty pleasure. 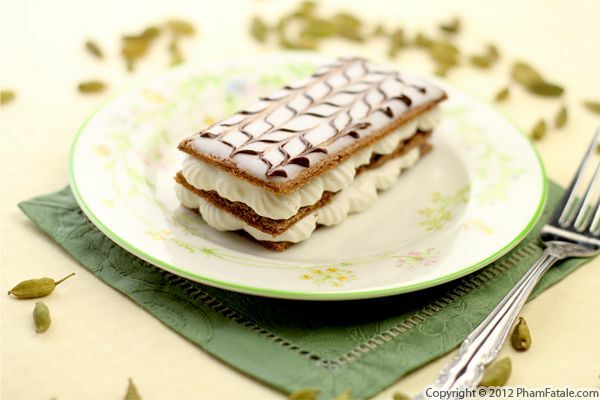 I made gluten free chocolate wafers and layered them with cardamom-flavored cream. Chocolate and cardamom are two of my favorite flavors, and I love using them together. If you're thinking that gluten free means sacrificing flavor or texture, you have to try this recipe. It tastes just as good as it looks.